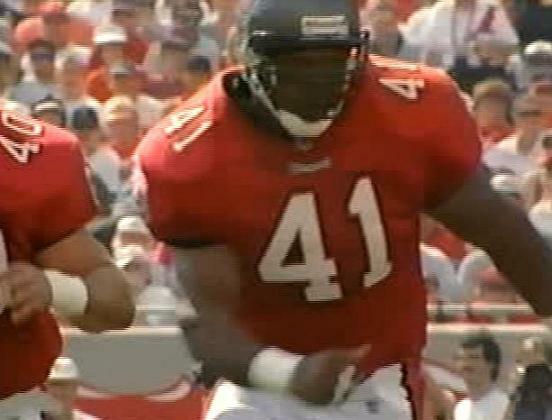 A fair selection of names have worn this jersey for the Buccaneers but none of the 14 really set the world alight enough to be a definite best-ever. 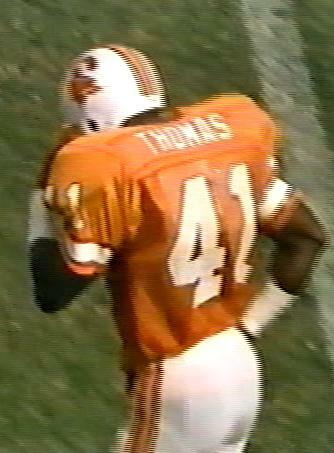 Norris Thomas played five seasons in Tampa Bay and made 25 starts at cornerback in the process and wins almost by default over the other 10. 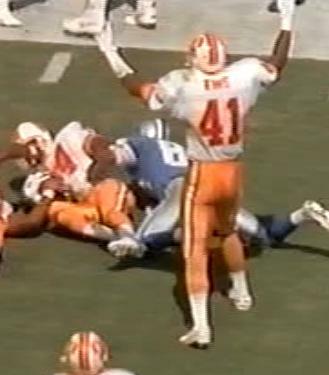 Joe King (apart from having a great name - say it quickly and you see why) had some moments starting at safety for Sam Wyche and Bobby Joe Edmonds came back in 1995 from a five year retirement to play special teams. 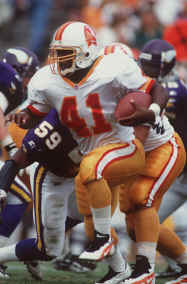 Reggie Brooks is the former Redskin who stepped in for Errict Rhett during his ill-advised holdout in 1996 and Lorenzo Neal was a fine blocking back but only played one season in Tampa during his 10-year NFL career. Daniel Wilcox played briefly before moving on to a nice career with the Ravens' special teams squads. Two players to sport the number were special teams dynamos Kalvin Pearson (who switched to the 39 jersey as soon as he could) and Corey Lynch who had some moments filling in for the secondary starters at times too. One of the most recent owners was full back Erik Lorig who switched numbers in 2012 to allow Dallas Clark to wear his regular 44 jersey thereby making Lorig one of the handful of players to have worn three different jersey numbers with the Buccaneers. 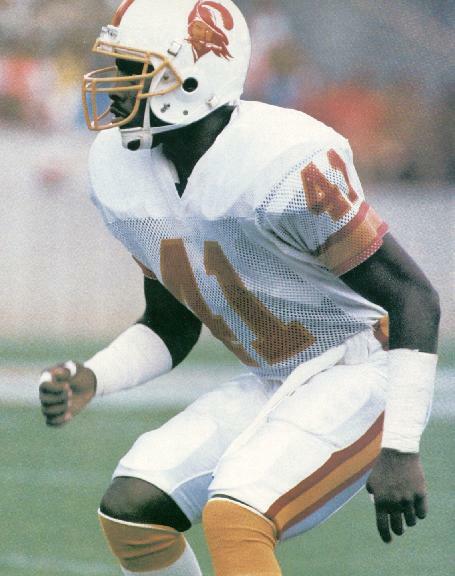 The NFL changed their rules on number allocations in 2016 allowing linebackers to wear numbers in the 40s meaning Kevin Minter was able to become the latest owner of the number in 2018.